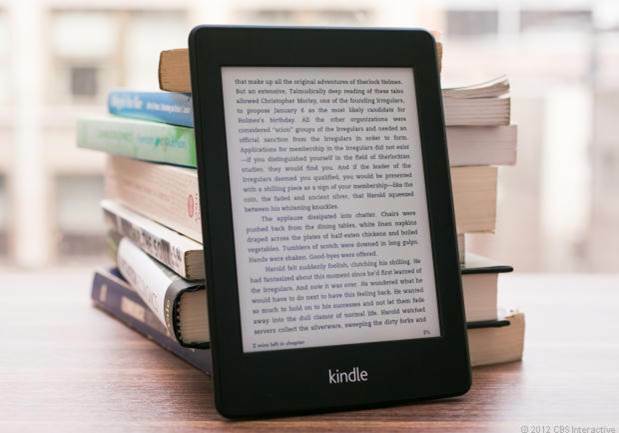 The introduction of e-Ink technology- and Amazon’s Kindle- changed the game for e-Readers, which previously relied on low-quality, high-power LCD displays. The market has had a few years to bed in now, and competitors to the Kindle have sprung up from all quarters. Christmas 2012 saw almost every major e-Reader manufacturer launch a new device for 2013, so we’ve used the opportunity to take a look at the latest crop. If you’re thinking of buying an e-Reader, we’ve rated reviewed the most popular to help you find the one that fits your needs best. The e-Readers in this test all use e-Ink displays, which are notable for creating a surface that reflects light the way paper and ink does. Rather than seeing reflections or glare when using an e-Ink reader, you can see the text even in direct sunlight. 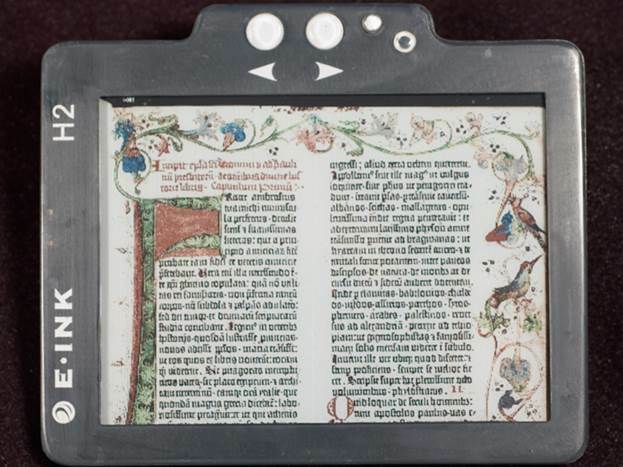 Originally, e-Ink displays suffered from the lack of a backlight (which the technology prevented) but the latest generations of devise have circumvented this restriction, and it’s now possible to buy self-illuminating e-Readers. It’s worth pointing out that e-Ink displays are almost all monochrome. Most e-Readers that claim to have color displays are actually employing traditional LCD displays, a quality that usually denotes a tablet PC (for example, the Kindle Fire or Nook HD). Such devices are beyond the remit of this guide, which intentionally focuses its attention elsewhere. Although e-Readers don’t require an Internet connection to work, the connectivity of devices is worth mentioning. Wi-Fi capabilities allow them to download new books from network hotspots, while 3G allows the same wherever a mobile signal is present. MicroSD slots allow extra space to be added on top of the internal storage, though a typical e-Reader contains 2GB of storage, which is enough for a around a thousand books. This fifth-generation Kindle is a direct descendent of the device that kicked off the e-Reader revolution, so it makes sense to start our review round-up with the device all that others are measured by. Obviously, it’s go reputation going for it, but what’s it’s actually like? Unsurprisingly, there’s a lot to love. The screen is a 6” e-ink display of uncommonly high contrast. The Kindle’s screen is by far the best of any unlit device. Its dimensions are suitably small and light and the battery can easily last for weeks between charges under normal use. Like all Kindles, it comes with a mini-USB charge cable that plugs into any USB port, but an AC adaptor must be purchased separately. 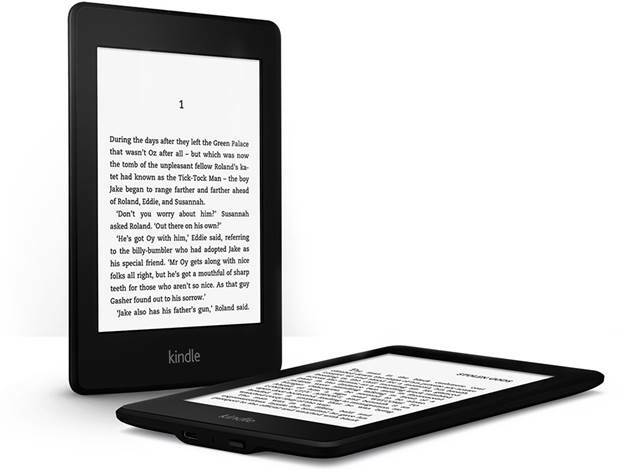 The vanilla version of the Kindle 5 is also the cheapest yet, costing just shy of $105.7. that’s $30.2 cheaper than the Kindle 4, even though the only obvious differences is that it comes in a darker shade of grey that its predecessor. Dig a little deeper and you’ll find that the Kindle 5 also has slightly faster page ‘turns’. Amazon specifically claims its 15% faster; while we’re not entirely sure about that number; a direct comparison shows clear superiority for the newer device. This is on top of a page turn speed that was already faster than any other e-Reader. The software and marketplace is impressive across-the-board, and with Amazon’s name attached that’s hardly surprising. Its library of server million books is unrivalled, as is the Whisper-sync feature, which can match your kindle library and reading progress across multiple devices and apps. 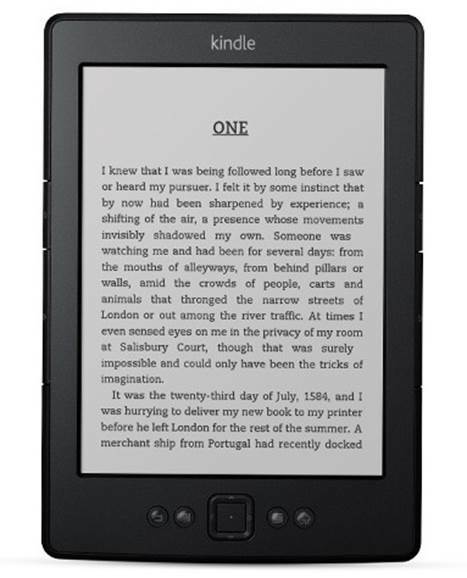 The big feature missing from the Kindle 5 is touchscreen-menu navigation is instead performed using a directional pad on the lower edge of the fascia. It can be slow, but some people prefer it to e-ink touchscreens, which are less responsive than those found on smartphones and tablets. Notably, every other manufacturer has added a touchscreen to their latest devices, so the Kindle 6 is the only good choice for those who don’t want one. Disadvantages (and there are some) include the strange inability to buy (or request) titles as gifts (neutering Amazon’s Wishlist feature) and a lack of native support for the ePub format. But honestly, those are nitpicks in the face of Amazon’s near-perfect hardware and design. If you’re not picky, start here. You won’t regret it. A more advanced, more expensive sibling of the Kindle 5, the Paperwhite initially seems identical to its line-mate. Turn it on, and there’s one major difference, though: the e-ink screen is now a self-illuminating e-ink screen is now a self-illuminating e-ink touchscreen. Furthermore, it’s available in two different versions, the more expensive of which adds an unmetered 3G Internet connection so that you can browse, buy and download new books almost anywhere. As a device, the Paperwhite is as good as any Kindle has been –better, even. Its light, sleekly designed, blissfully compact and yet remains robust. It’s nothing short of a joy to handle. The touchscreen means it does away with almost all extraneous buttons, leaving you with a straightforward, intuitive interface. Since the display is the main selling points of the Kindle Paperwhite, we should discuss it in detail. One of its lesser-trumpeted features is the superior resolution it commands (768 x 1024, compared to 600 x 800 on the Kindle 5) which gives text a visibly crisper appearance. The big feature, its built-in lighting, means you can easily use it to read in low light or even complete darkness. Basically, it’s fantastic. It’s worth mentioning, though, that the lighting isn’t perfect. It doesn’t have the uniform coverage of OLED displays, due to the technology used, and some areas are noticeably lighter than others. But even with this quirk, it’s still the best e-ink display available, lit or otherwise. When comparing it to the Kindle 5, there are a couple of ways it could potentially be called worse. Firstly, the Kindle Paperwhite has only 2GB of storage instead of the 4GB found on the Kindle 5, but it’s difficult to fill that much unless you’re really trying. 2GB still holds over a thousand books. Secondly, there’s no text-to-speech function, which the Kindle 5 does have. Ultimately, there’s no getting away from the price increase. It’s a fairly large leap from the Kindle 5 to even the cheaper Paperwhitle model. For the 3G version, you might justify the extra cost as prepaying for unlimited 3G data but for the basic Paperwhite you’re spending $60.4 for the light and touchscreen. You have to really want them to make the price seem reasonable. It’s lucky for Amazon, then, that if you want these features they’re well-implemented enough to be worth it. The Kindle 5 is great – but if you can afford it, the Kindle Paperwhite, in either incarnation, is even better. - Does Your Company Need An ERP System?